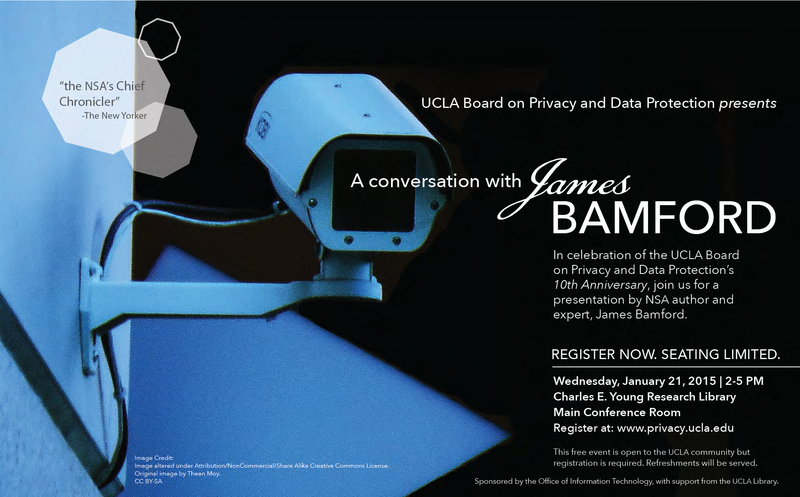 In celebration of the UCLA Board on Privacy and Data Protection’s 10th anniversary, the Board is hosting an afternoon presentation and reception with expert and decades-long chronicler of the NSA, James Bamford. This event is free, but reservations are required. Light refreshments will be served.